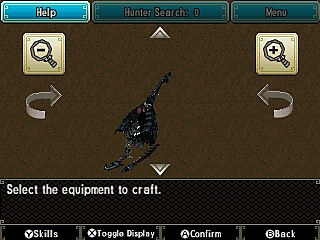 The hunting horn in Monster Hunter Generations is the perfect support weapon. Different attacks will play different notes and you can perform songs by linking certain notes together. These songs give many different buffs, so check out my hunting horn song list for all possible songs. This weapon can still do good damage, so it is still possible to solo with it. Even so, I play it more in multiplayer and it is my go to weapon when playing online. 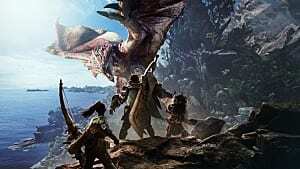 I'm going to go over how the hunting horn works and some tips on using it effectively. 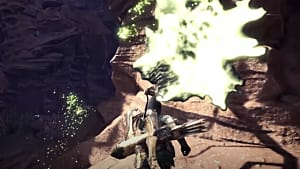 Basic Controls - The different things you can do with the hunting horn. Encores and Double Notes - How to do them and why they are important. 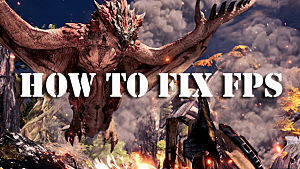 Extra Tips - Tips to help you get better at using the hunting horn. The most important thing to know about hunting horn is that each horn has 3 notes it can play and they are assigned to one of the attacks. You can also press X while moving the circle pad forward for a forward smash. You can press this while moving the circle pad to perform a spin smash. The top left of the screen shows your musical staff and the notes you played. If 2 or more notes are lit up, that means a song can be performed. Each weapon has 3 different notes it can play, so that is the most important thing to look for when choosing. There are 2 important mechanics you can do with the hunting horn to increase song effectiveness: Encore and Double Note attacks. An Encore is when you perform a song twice without playing a new notes. To do this, press R immediately after performing the song. If you think you will be safe, you can keep tapping R during the first performance to ensure you don't miss. Encores increase the duration of the song. This time varies depending on the song and some songs don't have a duration, so they can't be increased. If you look at the staff when playing notes, you will notice each note has either 1 or 2 of the same note. Whenever you directly hit a monster with an attack, the corresponding note will be a double note. If all the notes of a song are double notes, you will gain the effects of that song, plus the previous song when you perform. This greatly shortens the amount of time you need to play specific songs, so make sure to get double notes whenever you can. 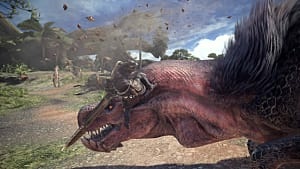 I won't go over the general info on the 4 Styles -- if you want you can check out my Beginner Tips and Tricks for more details -- but I will let you know how they affect hunting horn. Guild is default and what you will usually want, especially in multiplayer. It gives you access to 2 hunter arts and all the normal attacks. Striker is a simplified version and 1 you want to stay away from in multiplayer. You can only play each note 1 way and the A button will do a hilt stab to play the note. The X+A will always be a smash that can harm allies. 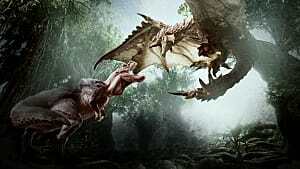 Aerial slows you to aerial dodge and more easily mount monsters. I like this for solo, but I almost always use Guild when playing multiplayer. Adept lets you counterattack immediately after dodging. I prefer to use Guild or Aerial when it comes yo hunting horn. Euphony - Triggers the effects of all playable songs of the equipped hunting horn. The effects only apply to the user, so I only use this when solo and using Guild style. Sonic Smash - Double-spin combo that ends in a smash that emits a sound wave. It is probably not a good idea to use this when playing with others because you might harm them. Harmonize - For a limited time, all notes are double, even if you don't hit a a monster. This is my favorite and perfect for all situations. You must dodge a lot of times, so make sure you pay attention when doing an encore. Double notes are great, but no need to restart your notes just to get them. 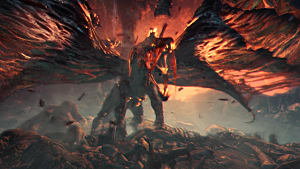 Since there are many songs and each horn only plays 3 notes, craft and upgrade different weapons so you can change depending on the fight. That's it for my Monster Hunter Generations hunting horn guide. Let me know if you have any questions or tips of your own. Check out the beginner tips and tricks for general help with the game.